Nebraska Cornhuskers Collegiate Snuggies Blanket with Sleeves - Huskers Etc. 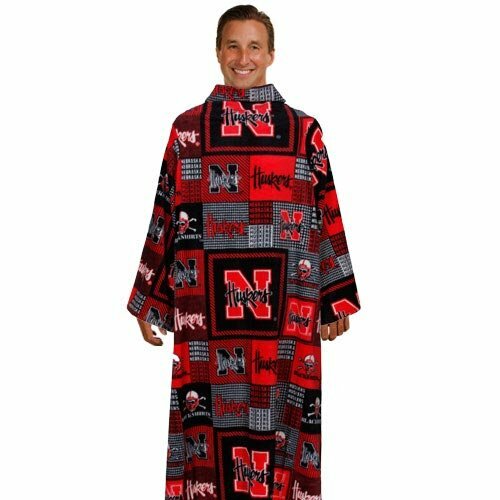 I first saw these Nebraska Cornhuskers Collegiate Snuggies at a nearby Gordman’s store last month and thought they would make great Christmas gifts for several of fellow Husker Fans. But when I went back last week to actually them, they were all sold out! Thank goodness, I found them online at where else, but Football Fanatics in three (3) different styles! Collegiate Snuggies (available in all NCAA team fabrics) aka “The Blanket That Has Sleeves” – As Seen on TV. Huskers are Football Fanatics, too!